How did U.S. presidents eat their salmon? 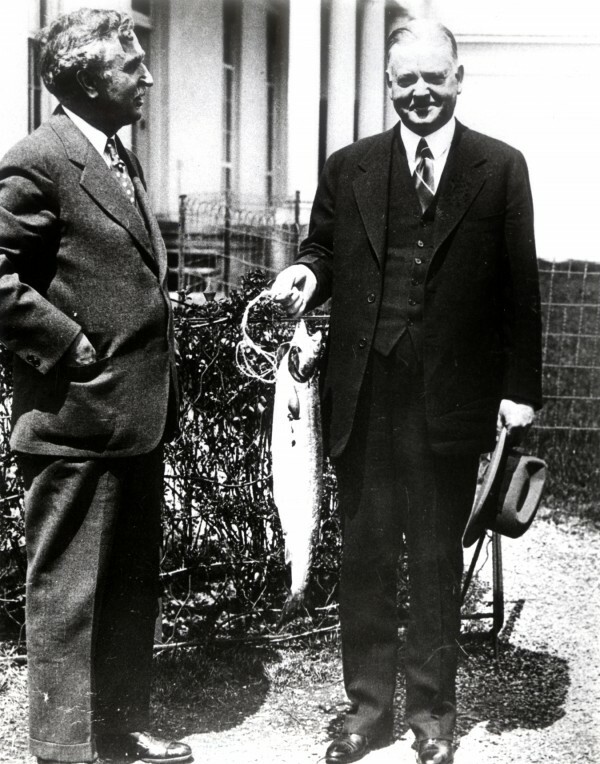 For eighty years, recreational salmon anglers on the Penobscot River in Maine upheld the annual tradition of giving the first Atlantic salmon each spring to the President of the United States. A closer examination of how each president’s salmon would have been prepared and eaten reveals that the celebratory eating of salmon happened at the same time as the decimation of salmon populations and their associated food traditions. Thus, through the Presidential Salmon, local anglers maintained cultural traditions of catching and eating salmon, keeping them in the social memory of the region and nation, while at the same time creating a moment that reflected how national policies were affecting local resources. “How the Presidents Ate Their Salmon” (PDF) appears in the Winter 2013 issue of Gastronomica: The Journal of Food and Culture. Next Holtrachem mercury – It’s still here.